moments that I really enjoy. This year ends with a fun light-hearted interview where the Project Managers talk about their everyday routine and New Year resolutions. I have always wondered how most of them have the time to do so much. Running successful blogs, doing podcasts and writing books along with high profile jobs and managing their global team. borrow some of their routine and fit into mine. 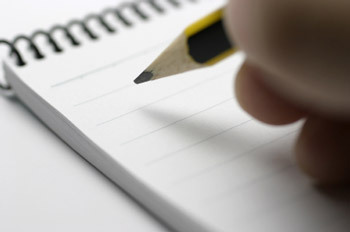 Do you have an everyday routine that you start your work with everyday? What’s your New Year resolution? 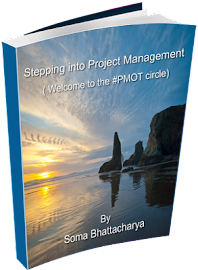 Anything related to project management? Part 1 of the interview is where we talk about their Morning schedules. Stayed tuned for Part 2 coming up on January 4 (Monday). Morning is the most productive time for me. 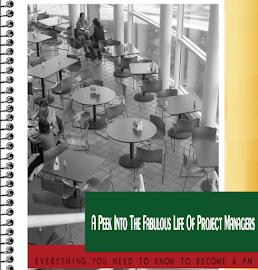 Someone from the software development side once recommended that all project managers schedule their status and team meetings in the afternoon, as it keeps the most productive time for developers open. That idea makes a lot of sense. Imagine (and write down) a few sentences about how I envision the day going. Review all open items in my Autofocus task log and select any that must be completed today. Add any tickler items from my google calender to my autofocus log. The start of my day consists of coffee, coffee and coffee. I like to leave the start of the day as much open as possible, to be able to "walk around", get in touch with remote team members, go through the mail, etc. After I have had my cup of tea in the morning I do what everyone else who works in an office does these days: I sit at my computer and I answer the ten-trillion emails that seem to have arrived overnight. My project team members are in various time zones around the world, so it's quite normal for me to spend about one hour just responding before I can get any other work done. Note that I said " get any other work done" and not "get any real work done". This is an important distinction. Many people think that answering emails in the morning isn't real work, but remember that one of the most important jobs that we project managers have is to communicate. We receive information, we disseminate the content, we correlate it with other information on the project and then we make decisions and communicate these decisions to other people. That is why I don't look at this morning "ritual" as something that makes me lose time but as something that allows me to keep on top of my projects and to keep everyone else on target. My team here has interesting hours, they all come in/start at different times(including me). So, morning meetings normally don't work out so well,anything we need to do early in the day happens around 11am or later.So, my own routine before I start moving on my day is to scroll through the twitter-#PMOT feed from the last 10-12 hours, see if there was anything interesting that came in the night before. I am more of alurker than a contributor, but I do try to contribute when I can. My normal routine is more like - Promise myself I will get up in time to have a healthy breakfast. Get out of bed at the last minute and grab unhealthy breakfast on the way to work (current choice is Caffe Nero's Amaretto Latte which comes with a free biscuit). I am normally in the office around 8.30am. Most of the time my team is not in the same building as me, so I don't routinely call them together for a stand up meeting or anything, although on Tuesday mornings we have a team conference call. I'm addicted to my Blackberry so by the time I get to my desk I have already read all my messages on the tube on the way to work. Once I'm settled, breakfast over, I review the top three things that I wrote on a post-it note the evening before, which I stick on my laptop when I pack it away for the night. That gives me my three most important things to get done that day and a focus for my activity. Each day and each night I have a routine. Each day before I leave/close down, I look at the actions set for the rest of each week. Each day before I leave I check off, add, and prioritize what needs to get done to meet those goals. Each morning does have one common element. since they are generally geographically varied, I will dial them. First, I get a good breakfast and go to the gym every morning. The exercise and nutrition wake me up and get me excited about the day! When I get to work, I would usually walk around a bit and chat with my team for about 10 minutes. Now that I'm producing training full time, this is mostly Twitter time for me! Next I bring up my to-do list that I updated the night before. I glance over the top things on it and get it ready for my next step. My to-do list is now updated and in priority order. I use it and my calendar to guide my activities throughout the day. My work day always starts with my plan for the day; I use a day book which contains a list of everything I want to achieve in that day. Sometimes the list is already pretty full with some carry overs from the day before! Generally though it works for me and I would be pretty lost without it. Depending on the day of the week the mornings might start with our team breakfast which we do every Friday. This is an opportunity for us all to talk about current workloads, any new ideas we want to develop or help each other out on any issues that might have surfaced during the week. It’s an informal meeting but actually this is how most of our business improvements might be kicked off, an idea generated by anyone within the team. Other days the mornings might be spend on set pieces of work, we do a lot of blogging, twittering and other social media activities and it’s important we do this every day so a schedule of activity is needed for each member of the communications team. I grab a cup of tea or coffee and I skim through emails, rss feeds and general news. If there's something important to do I find in email or I know before I come to office I terminate the routine and start dealing with the priority issue. I try (and the key word here is “try”) to list the top 3 priorities for the day and make sure that if, by the end of the day, I don’t complete them that I at least have made major progress on each one of them. It is hard to do this every day, with all the fire fighting that has to be done, but it always feels good when I can do this. I am totally different person at home compared to office. Let me presume that what I do at home is not quite relevant here. I start my work day with a long drive to the plant where I am working. It’s a gas processing plant. We have a site office and I start the day with a half an hour standing meeting with my team. We discuss the outcomes of last day’s work, pending activities and scheduled work for the day. I believe in work ownership, accountability and chain of command. These things are essential to run any organization or team. Where people don’t take ownership of the work they are performing, you may observe several delays and issues. I use “Why” method to find root cause whenever a complaint or issue has been received or where ever I find things improper. We meet and communicate throughout the day attending work packs and trouble shooting. Hope you enjoyed the interviews as much as I did going through them. The New Year begins with another interview from none other than Jurgen Appelo himself. It's time for my vacation- so while I step out to look for ideas for next year; I will soon be back for the year ending tradition on the 31st this month. Till then, here is some good reading and thanks to @projectshrink for sharing the link. 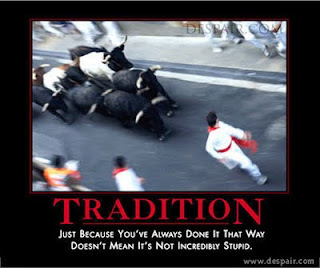 We are creating traditions here. In the blog I mean. Last year I had this interview and since then I have met more people interviewed them and learnt from them. So, this year I wanted to continue with the tradition- I have sent emails to all those who have interviewed this year for the blog and those whom I would love to interview for next year. 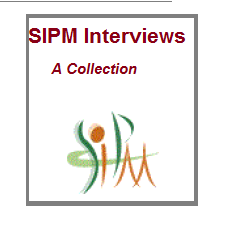 So, this year the interview will be fun, some light hearted talk to help you step into the next year with hope, passion and interest for project management. This year has been fabulous, I have been through some of my personal highs and lows and am doing ok. Being a blogger is hard, seriously there are tough days on what to write next, how to make it better than yesterday and is the blog improving ? Because, if you don't change, your blog doesn't either. There's nothing so directly related to you than your blog. It's your story and your narration. So, this year enjoy the fun and your blessings and may be its time to get your own blog. Why its hard being a newbie? what does a wanna-be PM do all day? Its all white outside and looks pretty until you have to go out and thats when you know all things pretty might not be the reality. If you are new to your organization or department, what are you facing? Is it cold or warm? Do you have problems keeping up with your work? Are you saying "yes" to everything and seem to overburdened with the work? I personally have this problem of saying yes. I always think I can learn so much more and commit. What happens is by the end of the day/week, you still have more to do. It never ends. To learn when to say "NO" and stop right there might be a good idea, honestly am yet to learn and execute it. So, we can learn this together. Here's how to not work the hardest and yet be the team favorite and when the time comes, how should you negotiate. Taking breaks and once in a while "work from home" if your policies allow is great, because you can just relax, watch the snow, put on some good music and work. More than often working from home is so much more productive because you can simply cut the unwanted noise and focus on the required. Learn to handle busy-ness. Let me just say this, people take you for who you are on the message you send. Sometimes, more than often it's the dress you wear that does the talking. Even if you are not co-ordinating shoes with your tie or handbag, keep neutral shades for everyday work use. Neutral and lighter shades are the best bet, if you like something bright, pair it with black or khaki, it always tones down the brightness. Use V-neck sweaters- it shows your shirt collars and looks better than round neck ones. The list is endless, at least you can create your own now, on what you need for everyday.